The following article has been re-posted from na.panasonic.com. 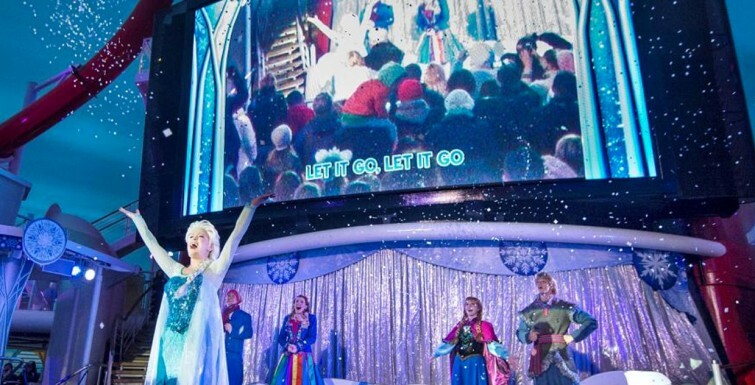 Families on Disney cruises expect the kind of magical experiences the iconic Disney brand is known for, and a major draw is the world-class entertainment. Guests of all ages can enjoy interactive deck parties and immersive stage performances on the upper deck of each ship. This includes shows such as the “Frozen” Deck Party, Pirates in the Caribbean show and deck party and Sail-Away Celebrations that give guests the chance to see their favorite Disney characters. To deliver outstanding live shows and entertainment on the outdoor stage, the production team at Disney Cruise Line utilizes point, tilt, zoom (PTZ) cameras positioned around the upper deck of each of the four ships in their fleet: Disney Fantasy, Disney Dream, Disney Magic, and Disney Wonder. The back of house camera is particularly important. It is used to provide wide shots and close-ups, thanks to its straight line of sight to the stage. When it came time for Disney Cruise Line to replace these entertainment workhorses on their fleet, the team sought to upgrade their current technology with state-of-art cameras that would deliver on the promise of an unforgettable experience. Cruise ships present unique challenges for capturing high-quality video. Obviously, there are swells at sea, but even in port a ship is constantly in motion. And the back of house camera gets mounted outdoors, on the aft funnel directly above the hum of the engine room, where wind, salt and spray add extra hurdles. These cameras on the Disney Fantasy, Dream, Magic and Wonder had all exceeded their capital life. When weighing their replacement options, the entertainment team decided to leverage this opportunity to seek out a solution that would outperform their current equipment. “We were looking for a product with superior image stabilization,” said Rory S. Roseman, a production rep for Disney Cruise Line Technical Operations. Roseman reached out to Disney Cruise Line’s partners at Disney Parks Live Entertainment for expert advice, knowing its audio, video and lighting designers could suggest the best solution for his needs. Their video team arranged a meeting between the cruise line team and Wes Carr, sales representative from Panasonic, to discuss the AV innovator’s line-up of professional pan-tilt-zoom cameras. Carr recommended the AW-HR140, a rugged outdoor PTZ camera designed to work well in various environments and still produce broadcast-quality results. Disney Cruise Line was interested in trying out the AW-HR140, so Carr was able to quickly arrange a two-week demo on the Disney Fantasy. Panasonic technician Michale Rusynyak came on board to swap out the existing camera, mounted on a shelf in the aft funnel. The installation went smoothly and the AW-HR140 was compatible with the ship’s current control systems. Now all that remained to be seen was if the new camera was truly seaworthy. After the two-week demo, the footage captured was offloaded and reviewed to assess the camera’s performance. The team at Disney Cruise Line was impressed with the sharp, stable footage the Panasonic camera was able to capture while at sea. “The video quality was impressive and the built-in image stabilization allowed us to zoom in farther,” said Roseman. The trial was a success, Disney Cruise Line made the decision to upgrade the back of house cameras on all four of its ships with the Panasonic AW-HR140. Now, with the high-quality video Roseman’s team can project, the experience of each deck party is enhanced for the guests. Learn more about Disney and Panasonic collaborations. Contact us at sales@visionone.com.au for more information. The following article has been re-posted from menafn.com. UAE- Epson’s education solutions demonstrated at GESS pave way for more collaborative, interactive and dynamic classrooms. (MENAFN – Dubai PR Network) Dubai, UAE; 24 February 2019: Epson’s market leading solutions for the modern classrooms on display at the Global Educational Supplies and Solutions (GESS) from February 26th 28th, makes learning more efficient as they connect collaborative groups, and empower both teachers and students. On display at GESS are Epson’s bright full HD Projector EB-990U that offers multiple connectivity solutions; EB-710UI, which offers ultra-bright 100-inch Full HD images, and a set of collaboration and sharing tools to make creating engaging lessons easier; and WorkForce Pro WF-C869RD3TWFC printer that prints up to 84,000 pages without having to replace the ink, and uses up to 95 percent less power than competitive color lasers. Jeroen Van Been, Director of Sales, Epson Europe B.V says: ‘At Epson, we understand education, and our solutions take into account the collaborative, technology driven classrooms of today. Our interactive display solutions provide a scalable image size, so every student gets a perfect view without losing image quality or needing constant zoom adjustment. Having the right sized image for a room can make a huge difference to levels of concentration, enjoyment and understanding. Our 3LCD technology combines high resolution, brightness up to 8,000 lumens for dedicated education sector projectors. We also have projectors with lumens up to 25,000 for other sectors. Our technology provides rich colours to produce vivid, engaging images even in brightly lit classrooms. Teachers can easily move around the room and effortlessly share Chromebook content with wireless connection to the classroom’s interactive display. ‘GESS, being the region’s foremost event to learn and experience the best solutions for teachers and students, is the ideal event for us to showcase our products and technology’, adds Jeroen. Epson’s EB-990U projector, on display at GESS, is a full HD projector offering 3,800 lumens. With the iprojection app, it is easy to display content from PCs and smart devices. It comes with 16W speakers that provides powerful sound even in large rooms and removes the need for additional speakers, saving both time and money. A microphone input is also available. Another highlight at the Epson stand is EB-710UI. It is a multi-PC projection software that allows teachers and students to share content simultaneously. The projector ensures that students can read everything on the screen with the interactive ultra-short-throw laser display solution, delivering collaborative lessons on a large scalable display to promote greater sharing and participation in the classroom. The moderator function allows teachers to remain in control, choosing what student content to display. It comes with a dual-pen and finger-touch annotation for easy control. Time and cost savings are important to the education sector and Epson’s WorkForce Pro WF-C869RD3 TWFC, on showcase at GESS, saves on energy. Reduce waste with this reliable 4-in-1 business MFP, featuring predictable printing costs and low user intervention. The printer features a range of software and tools that provide secure printing options, efficient scanning and helps to manage devices remotely. Epson will be present at stand B30, Sheikh Saeed Hall, DWTC. No matter what industry you use it in, interactive digital signage can make your content more impactful, engaging and exciting. Just like people are more likely to remember something if they write it down, they are also more likely to remember something if they have to engage with it, rather than just see it. We only remember 10 percent of what we read. We only remember 20 percent of what we hear. We only remember 30 percent of what we see. But we remember 80 percent of what we personally experience. That’s where interactive signs come in. Not convinced interactive digital signage is for you? 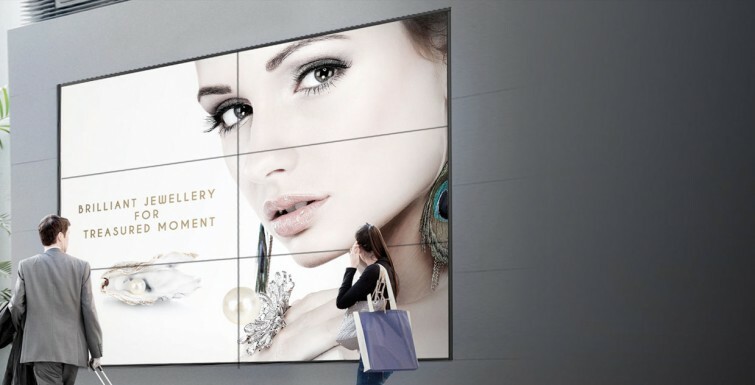 Here’s three reasons why interactive digital signage is a must. What are you most likely to stop and look at: a screen with a slogan and photo OR a screen that offers you the choice to look at whatever content you’re most interested in? Probably the second option, right? 81 percent of survey respondents said that interactive content grabs attention more effectively than static content. So yes, it’s pretty obvious that we’re more likely to approach an interactive kiosk than a static sign (even if it’s on a digital screen). With interactive marketing your business can grow brand awareness, differentiate from your competition, increase customer loyalty, and increase profits! In retail, making digital signage advertisements interactive increases a shopper’s likelihood to impulse buy. In fact, 70 percent of marketers found that interactive content is more effective in converting visitors. So, instead of displaying a photo or video of your products, get creative and think of ways your customers can engage with your products digitally! What are you most likely to remember: a screen with a slogan and photo; or a screen that offers you the choice to look at whatever content you’re most interested in? Again, probably the second option! That’s because digital signage is inherently more memorable than traditional, static digital signage. Interactive advertising manages to hold the attention of the consumer longer, leading to a better chance of that consumer remembering your brand. Actually, unaided brand recall was 8 percent higher for interactive ads, and 10 percent higher for aided brand recall — for example when viewing a subsequent ad or piece of marketing. Today the average person is bombarded with the equivalent of 174 newspapers of data every single day. That’s a lot of distracting information! In reality, the average person only retains about 10 percent of the information we hear, 3 days after we hear it. So, by making our digital signage interactive, it increases the likelihood that your content will be retained among the 174-newspapers-worth of information we absorb in a given day. We can’t emphasize enough that consumers are demanding more and more from businesses. They’re looking for personable, meaningful interactions among a sea of constant distraction. This is exactly what makes having the ability to actually interest and engage them with your content so impactful. By integrating interactive content into your digital signage strategy, you make it easier to gather impactful metrics — how many people are interacting, what are they interacting with, for how long, where are they dropping off, etc. You open up the doors to help make data-driven decisions that will ultimately impact your bottom line. At the end of the day, it is of course important to carefully consider what content works best for your digital strategy and customer profiles. If interactive digital signage sounds like a good fit for both, you could be on the cusp of something incredibly impactful! NEC Display Solutions of America, a leading provider of commercial-grade digital signage displays and projectors, announced its new 46” and 49” UN Series displays designed to make installing and managing video walls easier than ever through commercial-grade features such as color control, easy content distribution, and enhanced software capabilities. Backed by NEC Display’s known quality and expertise in the video wall market, the new 46” UN462A and UN462VA are designed for digital signage applications and feature professional-grade panels with high-haze, anti-glare panel technology, FHD resolution and uniformity control across the entire digital canvas thanks to its rigorous factory self-calibration. The 46” display sports an ultra-narrow cabinet with a 3.5mm bezel gap. Meanwhile, the 49” UN492S and UN492VS adds an S-IPS panel with an ultra-narrow cabinet featuring a bezel gap of 1.8mm, ideal for corporate, cinema, house of worship, and retail signage customers. The 46” and 49” UN Series displays feature improved color management with the addition of NEC’s proprietary SpectraView Engine that allows for self-calibration by connecting a sensor directly to the display, as well as making significant adjustments via the on-screen display. In addition, the UN Series feature improved NDWC capabilities with corner adjustment and uniformity correction and quicker recalibration techniques. The displays also include both DisplayPort and HDMI out connections to daisy chain signals from the internal media player for easy video wall installation and management. Meanwhile, the new TileCut function ensures the image does not get cut off when displaying content on non-16:9 video walls – a must for customers who need to ensure their content is always properly displayed. The UN Series’ impressive commercial-grade feature set is rounded out with a full steel chassis, faster processing times, and TileMatrix functionality for complete control over image adjustments on the wall. 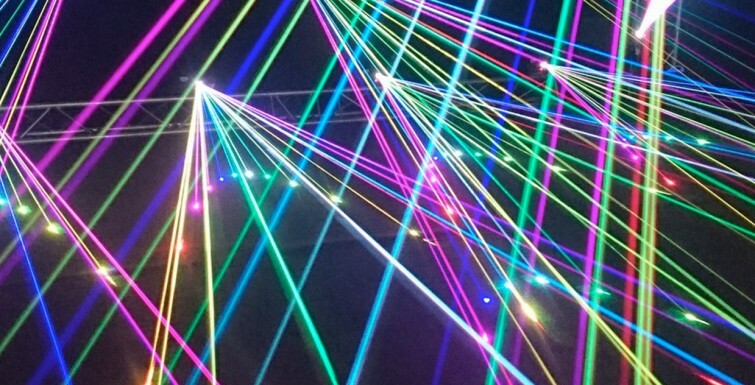 Global Laser Projection Market is expected to reach USD 11.8 billion by 2025 from USD 4.36 billion in 2017 and is projected to grow at a CAGR of 19.3% in the forecast period of 2018 to 2025. The upcoming market report contains data for historic year 2016, the base year of calculation is 2017 and the forecast period is 2018 to 2025. Laser Projection is defined as a device that provide changing laser beams on a screen to produce a moving image for professional or entertainment use. It contains of a housing that covers lasers, galvanometer scanners, mirrors, and other optical components. It has various feature which include high brightness, long lasting laser light source, WUXGA resolution and 10,000:1 contrast ratio for clear, crisp and bright projection, installation flexibility, built­in multi­screen edge blending and warping, motorized and wide lens shift range, reduce blending maintenance with a smart sensor continuously measuring and adjusting the illumination output and many more. It has a wide application in enterprise, public places, cinema, education and others. In 2017 IMAX’s launched new laser projectors in a Movie Theater. It is developed for bright and sharp Colors are so bright and intense that they now add even more realism to computer-generated images and the future will change the movie theater. In 2017, Epson launches a first 3LCD laser ultra-short throw projectors. It is a laser projection technology on the ultra-short throw projector platform. It build innovative laser features to connect people and technology with solutions for creative ideas, displays and collaboration across a variety of sectors, including corporate spaces, educational institutions, retail spaces, and anywhere that long life, minimal maintenance and low cost of operation are significant. The global laser projection market is fragmented and the major players have used various strategies such as new product launches, expansions, agreements, joint ventures, partnerships, acquisitions, and others to increase their footprints in this market in order to sustain in long run. The report includes market shares of laser projection market for global, Europe, North America, Asia Pacific and South America. 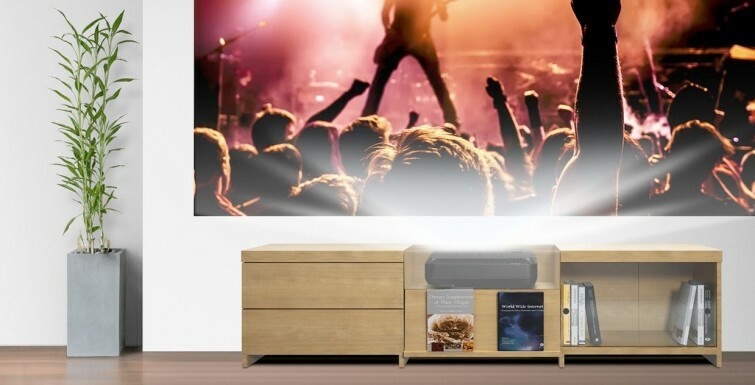 In 2018, Optoma launches ZH420UST a new laser ultra-short throw projector. It provide multiple installation features, including built-in edge blending and warping, HDBaseT, four-corner correction and many more. BenQ, an internationally renowned provider of visual display solutions, announced today that its latest interactive flat panel (IFP) display for education, the RP7501K, received the prestigious Tech & Learning Best of Show Award at the TCEA conference in San Antonio. Tech & Learning’s TCEA 2019 Best of Show Awards celebrated the products and services exhibited at the expo that demonstrate great promise, according to the country’s most tech-savvy educators. The cloud-enabled RP7501K is a 75″ 4K UHD IFP designed for education. It boasts classroom-ready features, a user-friendly interface, and advanced fine IR touch technology for the ultimate in collaboration. When it comes to effective learning, health matters. That’s why the RP7501K incorporates an air-quality sensor to monitor the carbon dioxide concentration level in classrooms, and Smart Eye-Care technology eliminating the health effects associated with blue light and glare. Certified by TÜV Rheinland, the IFP intuitively senses when someone is close to the screen and automatically activates Flicker-Free and Low Blue Light features. In addition, a germ-resistant screen made up of a multilayer coating of the nontoxic, enduring nano ionic silver agent kills most germs accumulating on screen surfaces and prevents cross-infection or epidemic in classrooms. The RP7501K adds device control through voice assistant, allowing teachers to easily control and access display capabilities through voice commands, such as starting a timer or searching the internet from wherever they are in the classroom. Award winners are selected by a group of Tech & Learning advisors who scour the show floor, investigating the latest solutions from participating vendors. Each judge rates their impressions on a sliding scale, then meet together to decide which technologies could have the most impact in the classroom. The recipients were announced at a special reception on Feb. 6 during the show. The following article has been re-posted from thehonestfacts.com. An up to date business intelligence report compiled at the headquarters of Transparency Market Research (TMR) has notified that the shares in global interactive projectors market are fragmented and the competition is intense. The analyst of the report has detected that the major players of the interactive projectors market are focused on harnessing new technologies and making an impression their consumers to stay ahead of the curve. 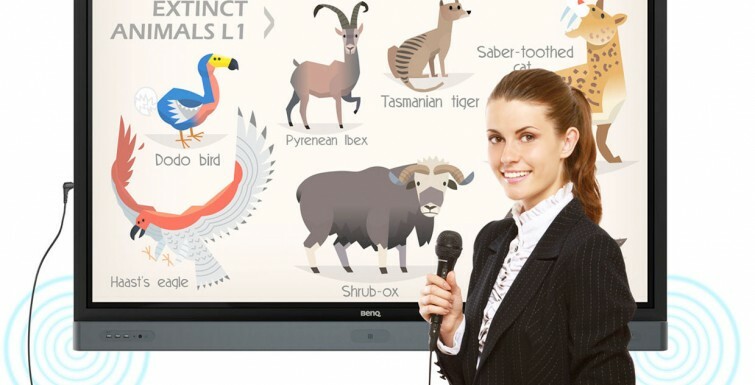 The report has identified BenQ Corp., Seiko Epson Corp., Dell Technologies Inc., Touchjet Inc., Optoma Technology Inc., Panasonic Corp., Sony Corp., Hitachi Ltd., NEC Display Solutions Ltd., and Boxlight Mimio as a few players who held moderately prominent positions in the global interactive projectors market as of 2018. If the projections of the TMR report are to be believed, the global interactive projectors market will attain a value of US$5.97 billion by the end of 2025, with the demand multiplying at a steep CAGR of 21.80% during the forecast period of 2018 to 2025. Application-wise, the education sector is currently providing for the most substantial chunk of demand in comparison to corporate and government. In terms of product type, the interactive projectors market has been bifurcated into standard throw, short throw, and ultra short throw. The latter has been identified to remain most profitable. The Asia Pacific interactive projectors market is forecasted to expand at an above-average CAGR of 24.30% during 2017 to 2025, which is a reflection of growing number of small and medium enterprises and government funding for the educational sector. Striking advantages over conventional projectors is the primary driver of the growing demand for interactive projectors. The advanced projectors are ideal for e-learning, a trend that has been flourishing in the recent past. These projectors allow a teacher and more than one or two students to interact via the same screen simultaneously. 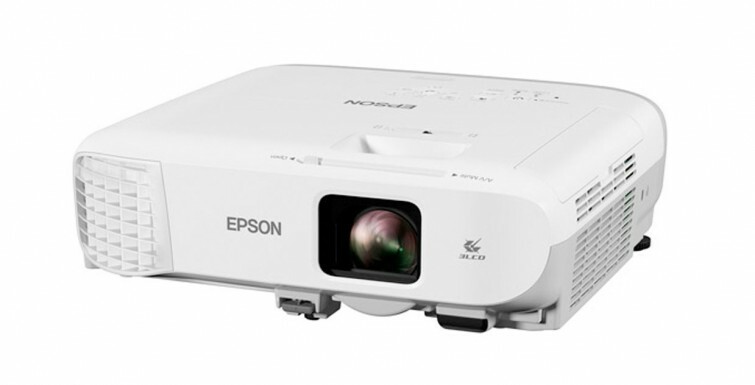 Check out our Epson interactive projectors here: EB-695Wi, EB-696Ui, EB-700U, EB-710Ui. Last week, the team at Vision One visited Integrate in Sydney to learn more about the innovative range of upcoming technologies for the audio visual and information technology industry. We checked in with our usual favourites and browsed through everything from holographic imaging technology to larger-than-life indoor and outdoor signage panel displays. Our pals at Quantum Sphere showed off their new Kaptivo Whiteboard Camera while the guys at Epson blew us away with their new range of lasers and and LightScene projectors. The big take-aways from this year? Lamps are slowly disappearing from projectors, pixel pitches are smaller than ever, and if your conferencing and collaboration solution doesn’t play nice with every software platform, you’re in for a world of trouble! Take a look at some of the highlights in the video walkthrough above! We’ve done a couple of pretty cool things so far in 2018. Check out our 3D Photo Gallery Video to learn more! We’ve loved Lumo Play ever since we first discovered it during a casual ‘floor projection software’ Google search, back in 2015. 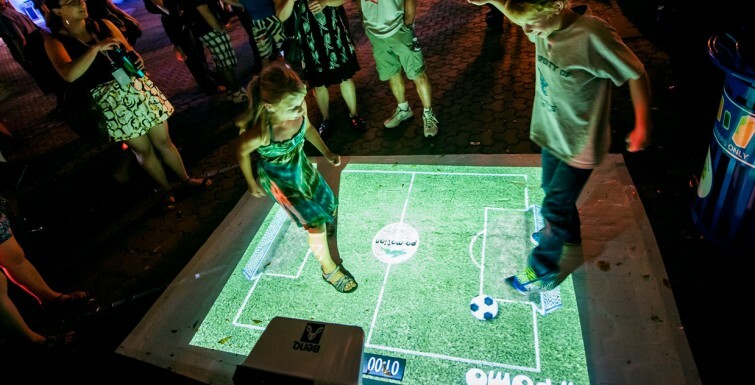 Lumo Play has changed the game as far as interactive technology goes. Using motion-sensing technology, Lumo Play offers a playlist of fun and interactive wall and floor games, as well as some creative and forward-thinking marketing opportunities. 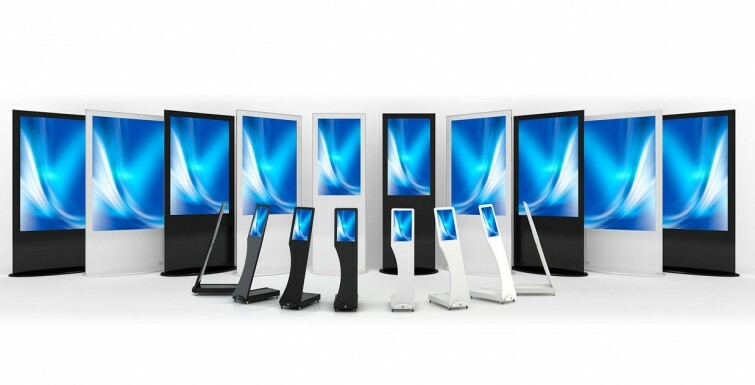 Professional interactive displays and digital signage need to be durable as well as entertaining. Software stability and local hardware support is a must. Lumo Play allows you to work with the installer of your choice, or contact one of our approved resellers. Today, we’re over-the-moon-pleased to announce that we’ve been nominated as the authorised Lumo Play installer for Australia. Lumo Play Pro is trusted by global brands and major event production companies. Make your display, projector, or sign interactive, and enjoy the most flexible setup options, easy-to-use content management tools, and excellent customer support available.